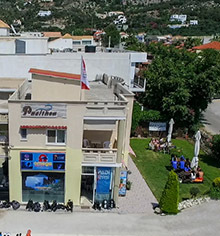 Combining comfort and attentive services, we have created a peaceful and cozy atmosphere, for our guests to combine their dives with accommodation, in our fully renovated apartments, right above our diving center. 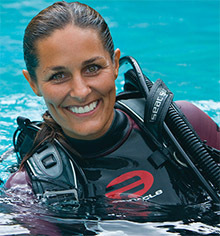 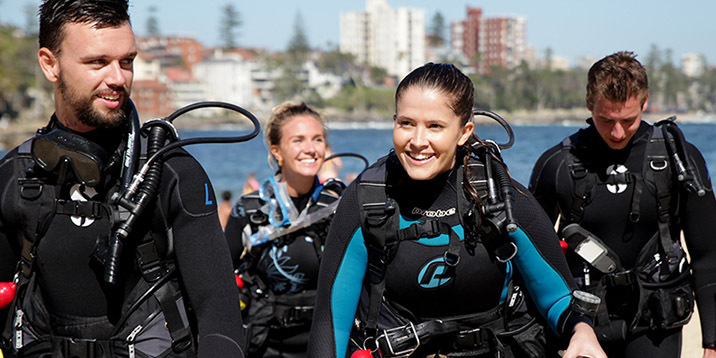 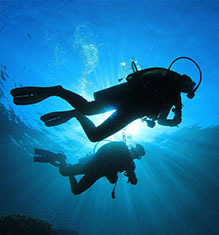 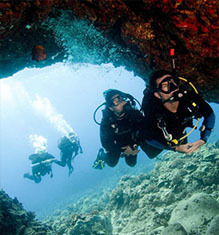 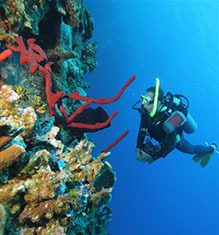 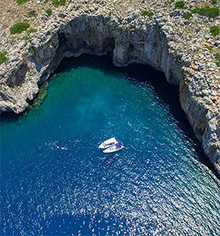 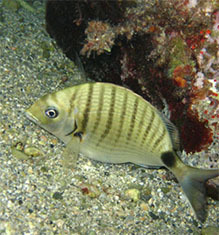 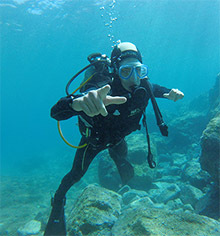 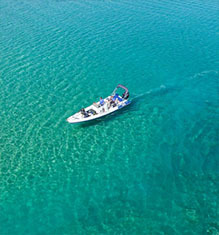 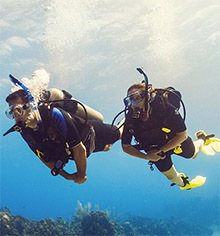 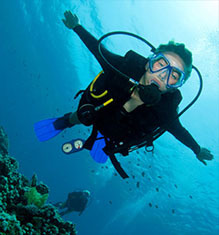 We are happy to assist with tailoring a Dive & Stay package to suit your holiday needs. 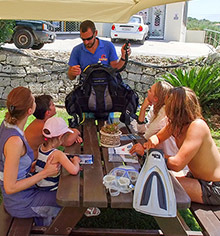 Whether you are interested in a PADI course or a pack of dives, simply let us know how long you wish to stay on the island and we will put this package together for you. 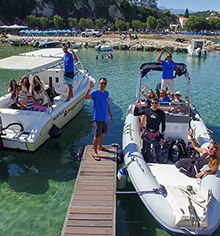 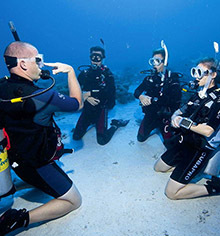 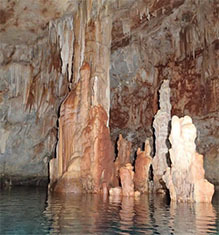 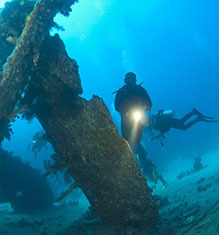 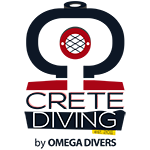 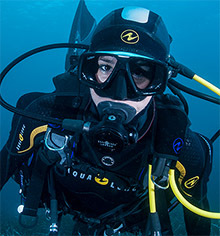 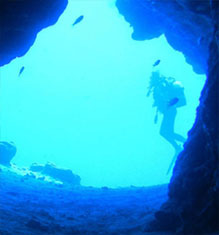 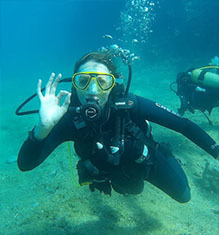 If you are a group of 6+ people, Omega Divers offer group discounts as well as personal dive guide and scheduling to suit your needs. 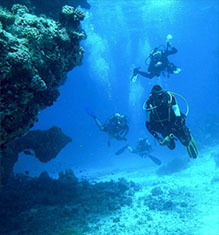 There are 4 spacious apartments, that can host up to 4 people, in 38+ m2 size area. 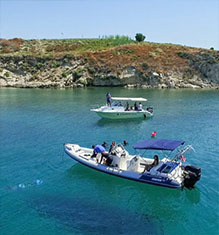 All of them have a kitchenette, with full kitchenware equipment and fridge, flat TV and air-condition. 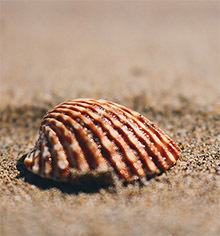 Towels, toiletries and slippers are also provided, while you will find a hair-dryer in the bathroom. 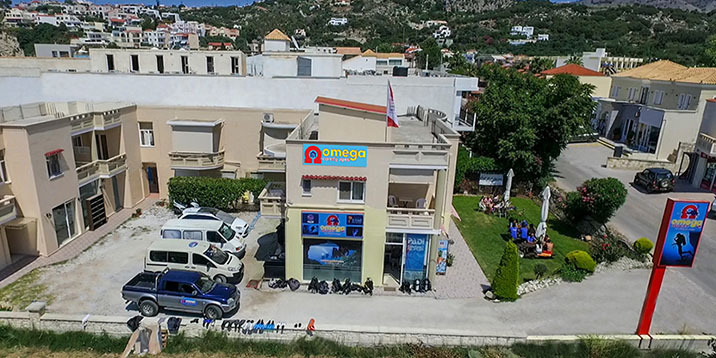 Within 2 minutes walking distance, there is a secured parking area for our guests, with ample space for their cars.